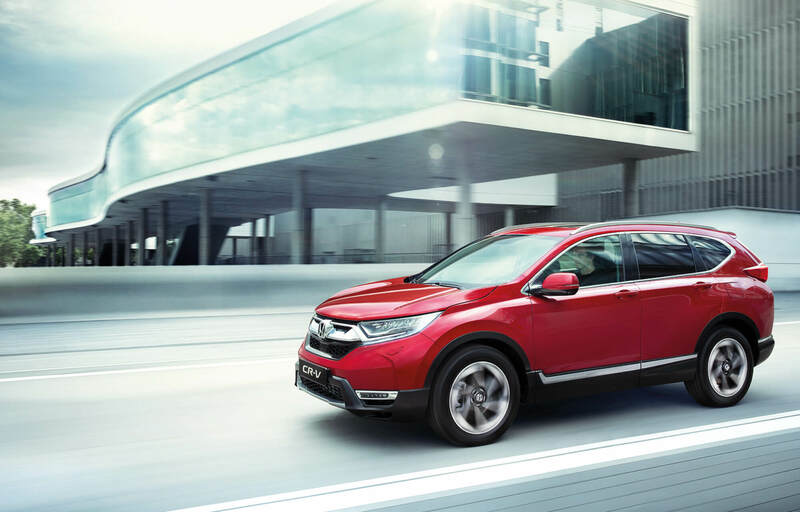 Honda genuine accessories have been designed and built to the same exacting standards as every Honda. So they are durable, safe, secure and guaranteed to fit. All you need to do is choose what’s right for you. The Aero Pack gives your car a more sophisticated, dynamic look with a combination of colour coded and refined features. Pack includes: front aero bumper, rear aero bumper, running boards and tailgate spoiler. Model colour-specific. Replacement rear parking sensors must also be ordered. 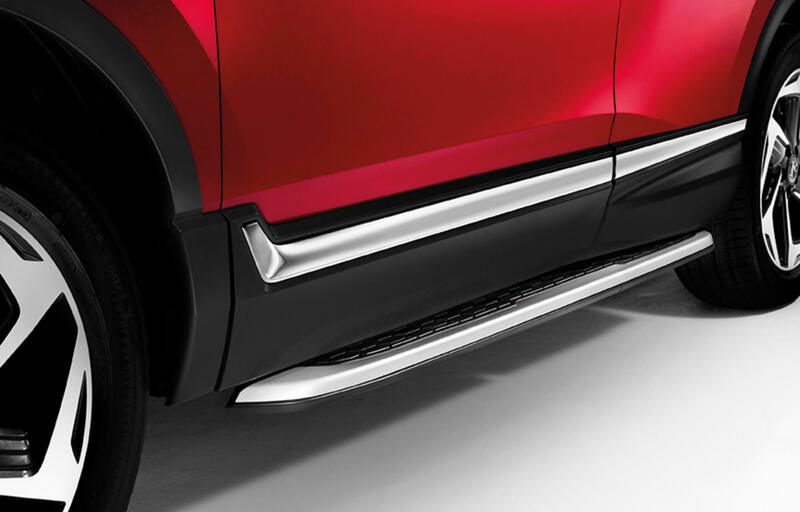 Enhance the dynamic looks of your car with the front aero bumper. 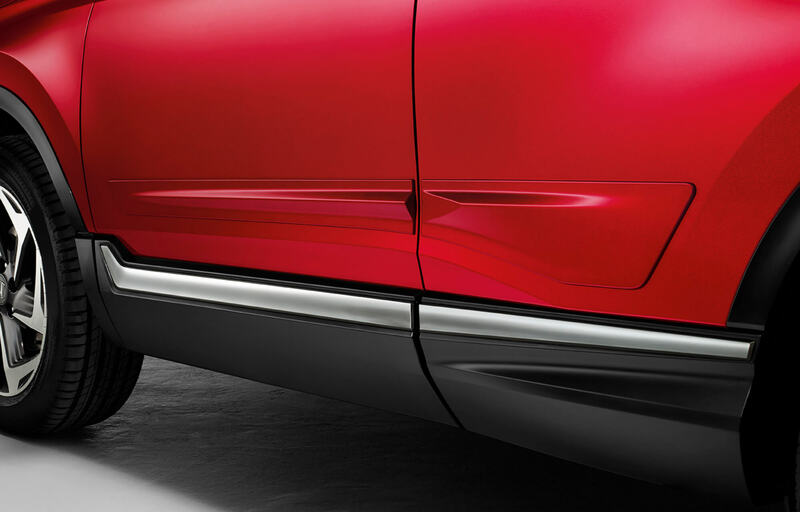 Featuring body paint surfaces to give the bumper area a premium feel. Enhance the dynamic looks of your car with the rear aero bumper. 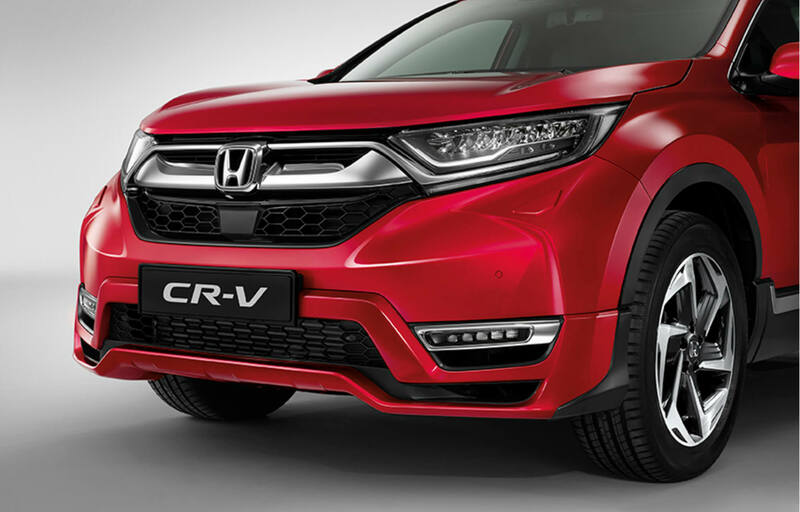 Featuring body paint surfaces to give the bumper area a premium feel. 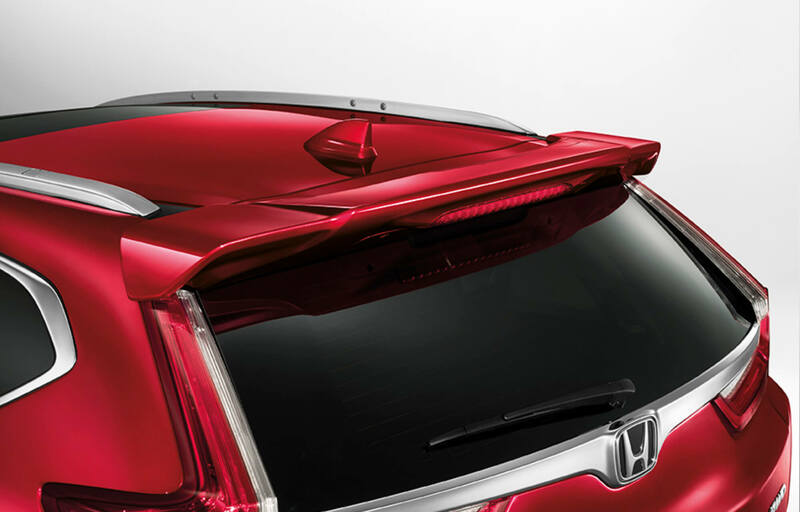 Add an extra competitive and sporty edge to the back of your car with this "floating style" tailgate spoiler. Model colour-specific. 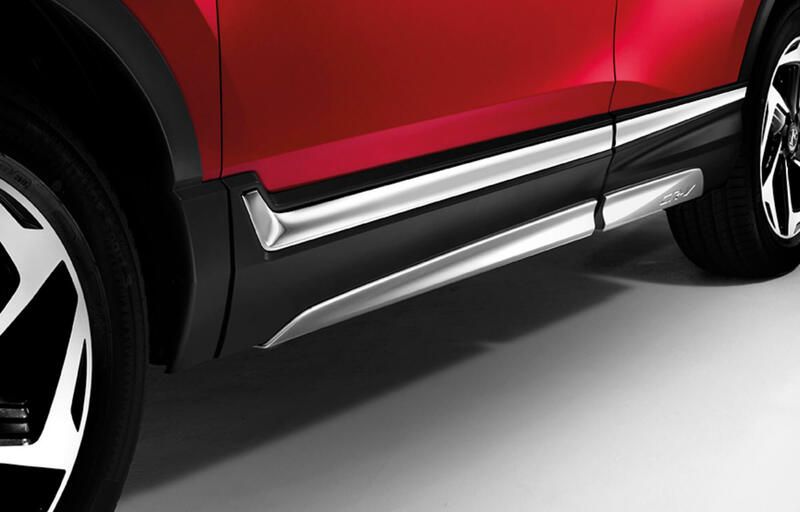 This side garnish (two parts per side) gives a robust an muscular look to your car. Finish resembling the standard front and rear lower garnish. 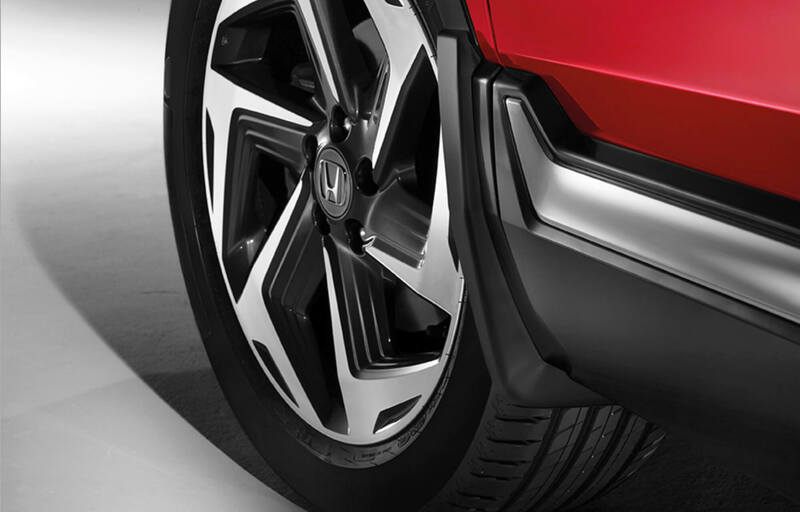 If you want to enter or exit your car more easily, choose Honda's stylish running boards. 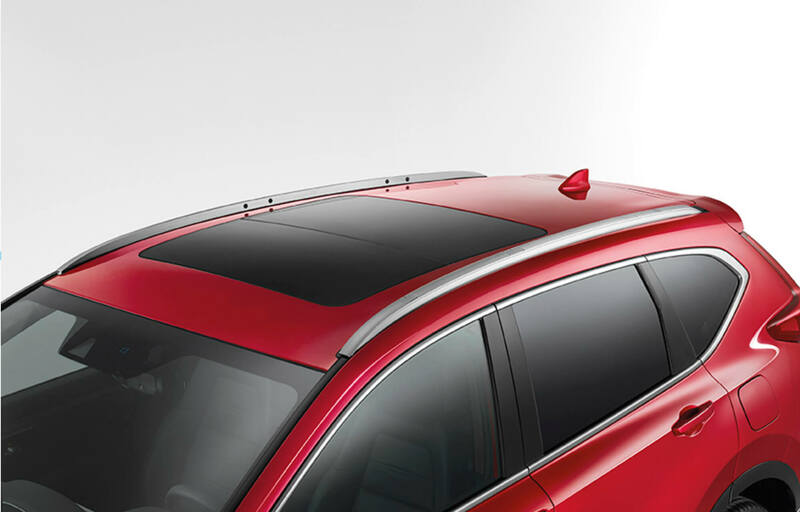 These fully integrated accessories not only add practicality, but sleek exterior styling with an extra dash of class. Accentuate the exterior look of your car with an attractive tailgate decoration, adding extra style and sophistication to your car. 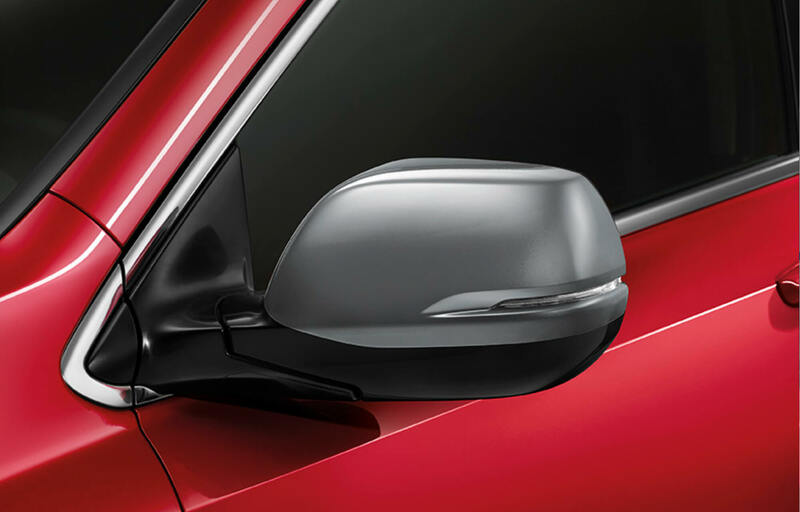 Keep your wing mirrors protected and looking good. The caps fit your Honda perfectly. 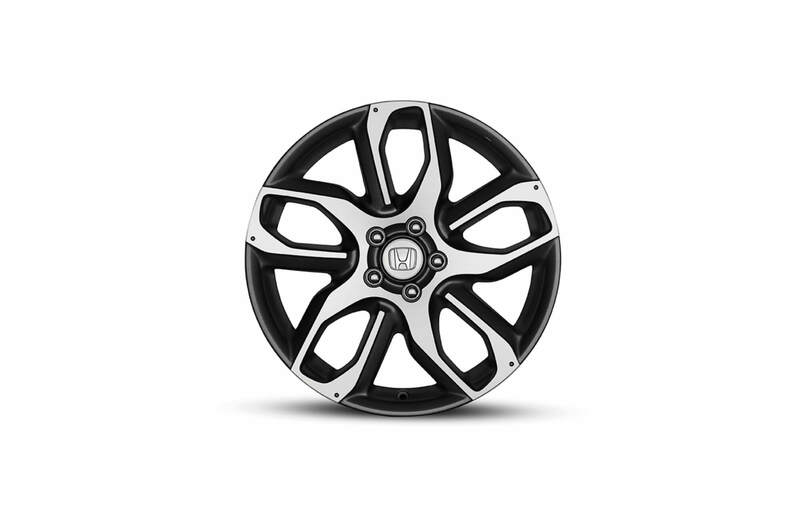 The 18" Emerald features Gunpowder Black windows and diamond cut A-surface with shiny clear coat. Pack includes: side body trims, door sill trims and mud flaps. There’s nothing more annoying than a scratch or dent in your car’s bodywork. The side body trims are made out of soft, impact-resistant material that comes in the car’s body colour which not only look great, but provide all round protection for your car. 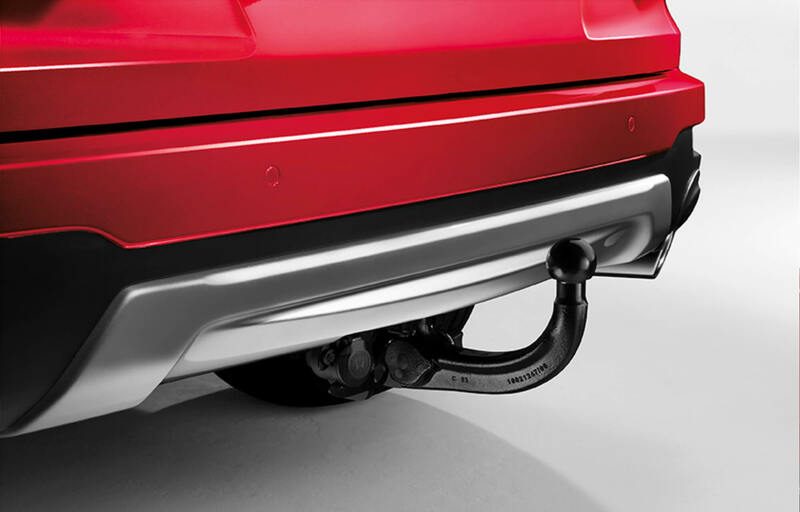 Protect your car against dirt and stones with these unobtrusive mud flaps. They're a great long term protection feature. Pack includes: front and rear mud flaps. 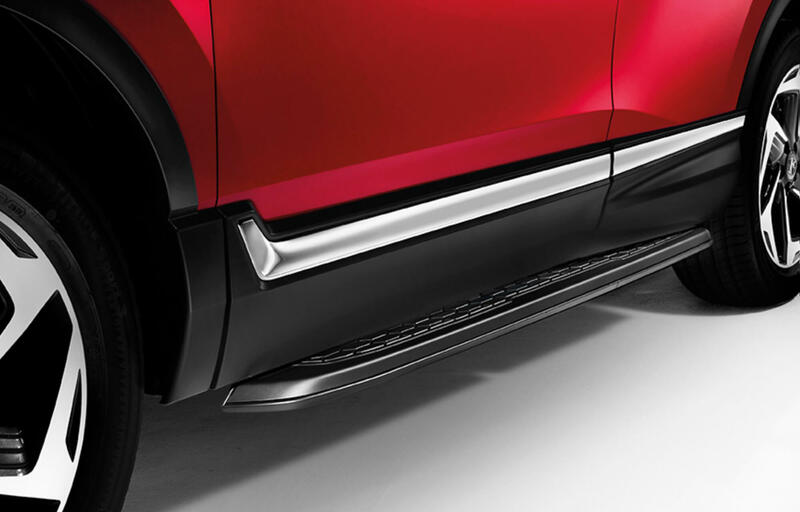 The door sill trims add a personal touch to your car while protecting the door sills from marks and scratches. 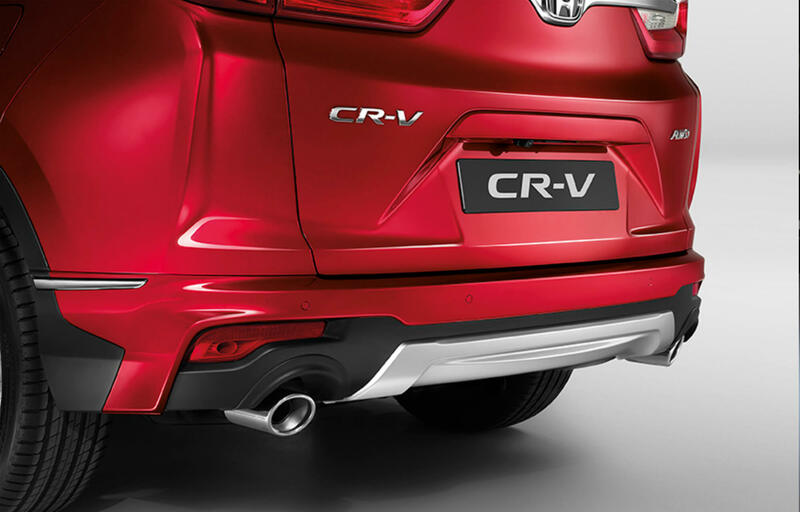 Crafted in stainless steel, they also have an eye-catching, etched CR-V logo. 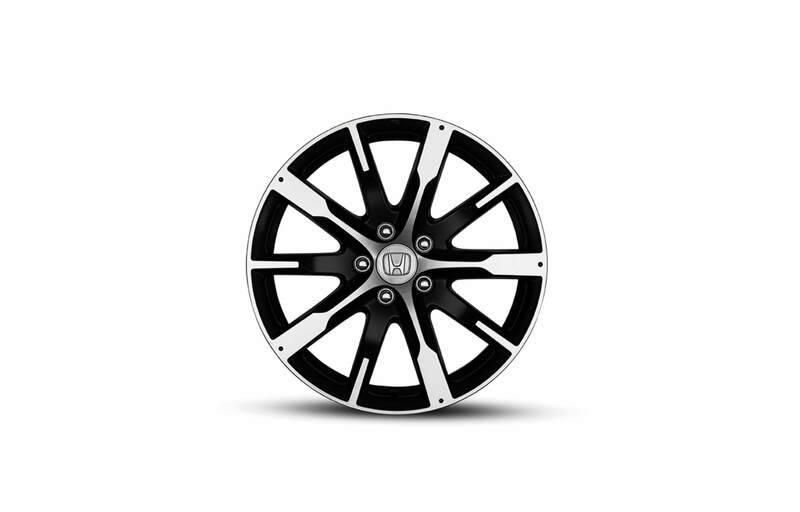 Pack includes: front and rear trims. A shield against the elements. 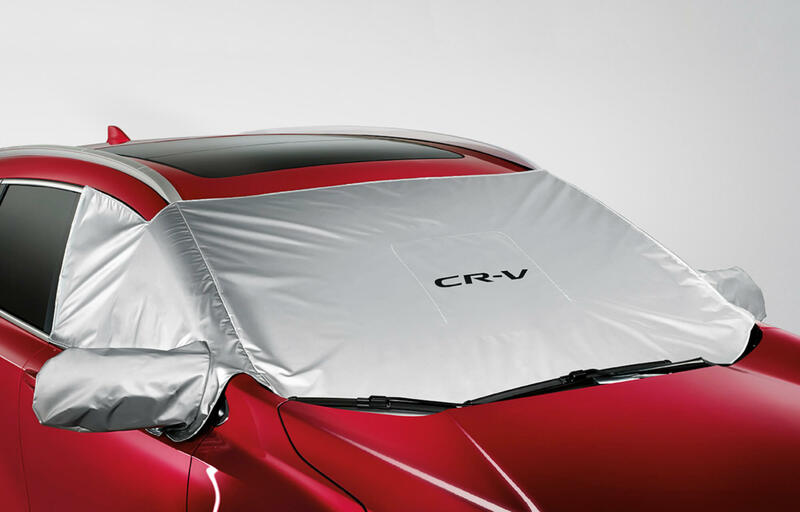 This stylish and model specific windshield cover will also protect the mirrors and front side windows from heavy weather when your car is parked outside. 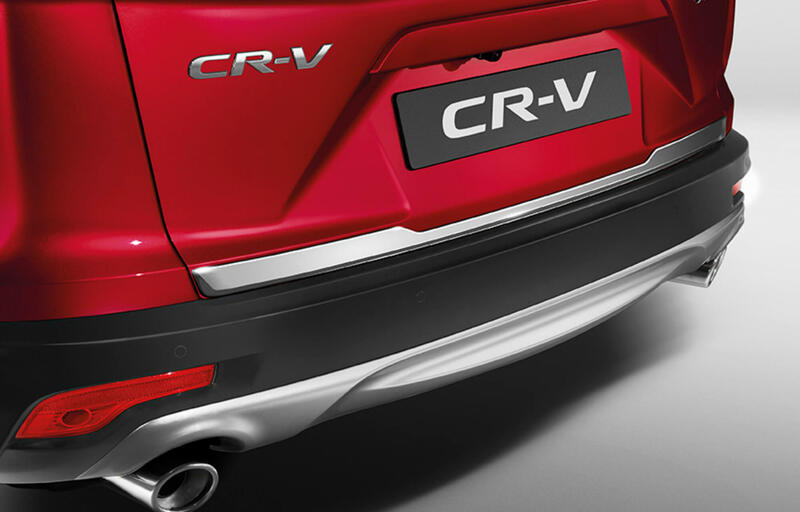 Features CR-V logo. 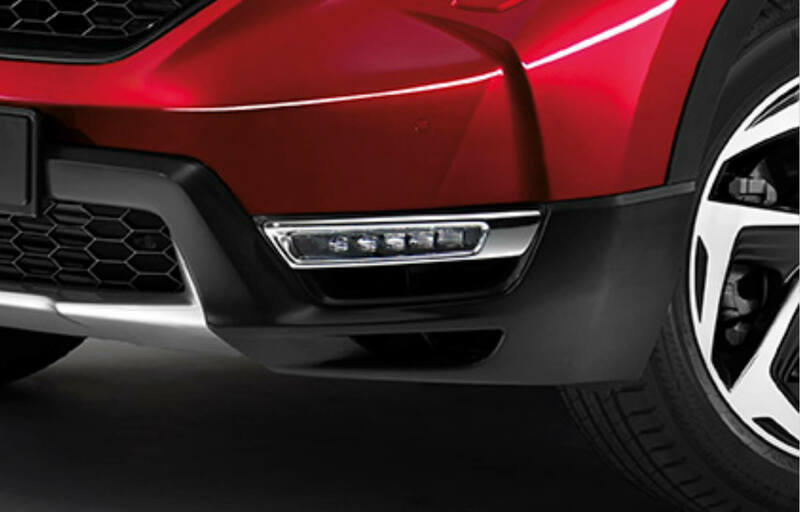 These low mounted fog lights are an essential safety feature. They cut through the gloom like lasers, making absolutely sure you can see, as well as be seen. This kit includes the front fog lights and the fog light attachment. 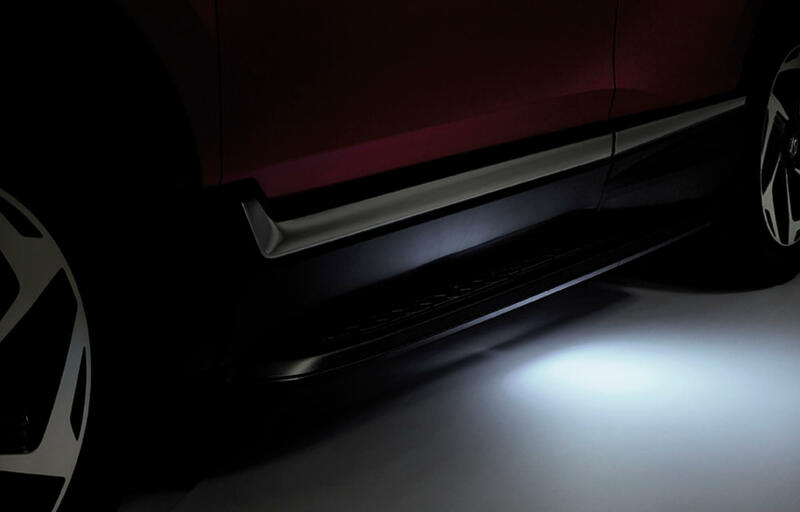 The puddle LED lights create an effective, small pool of light just underneath the driver and passenger side doors – illuminating the area beside the car. Only in combination with the running boards. If you frequently transport luggage or specialised equipment, the Cargo Pack will help keep it organised and secure. Includes: premium boot organiser, bumper step protector and boot sill decorations. Constantly loading and unloading the boot can cause annoying little dinks and scratches; protect your car's bodywork with this neat boot step protector. 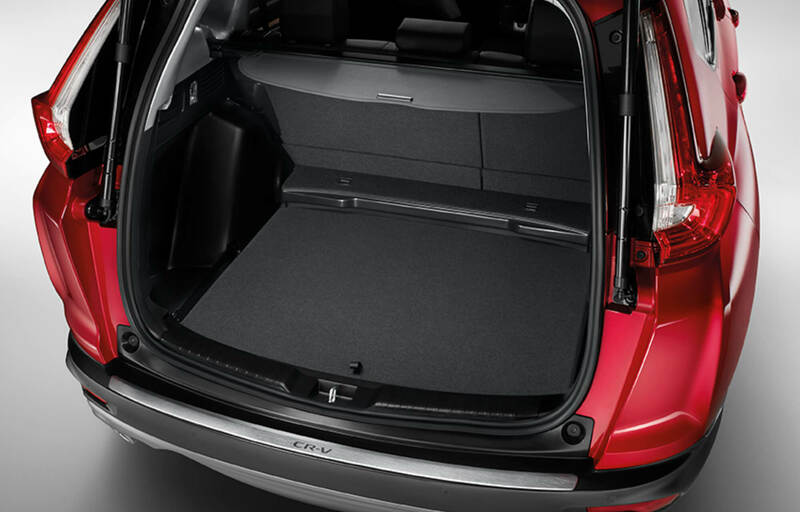 A practical and stylish accessory for the boot, it protects against scratches and bumps. 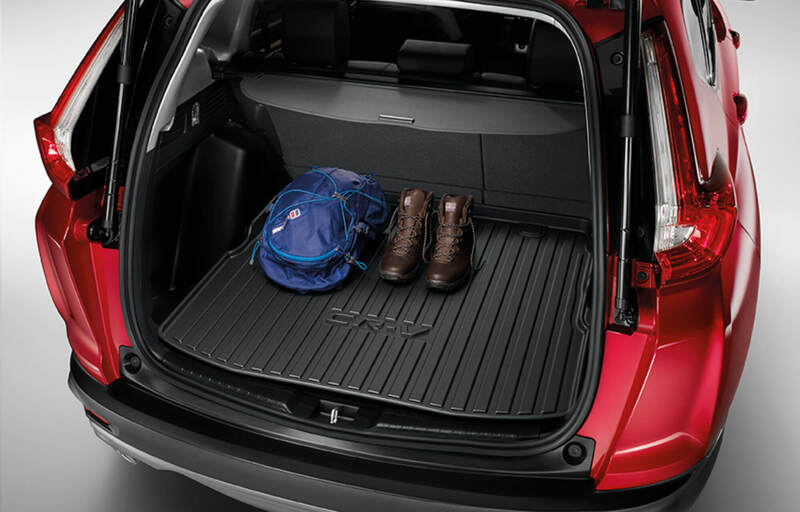 With an attractive brushed stainless steel finish, it fits perfectly onto the boot's exterior lining. 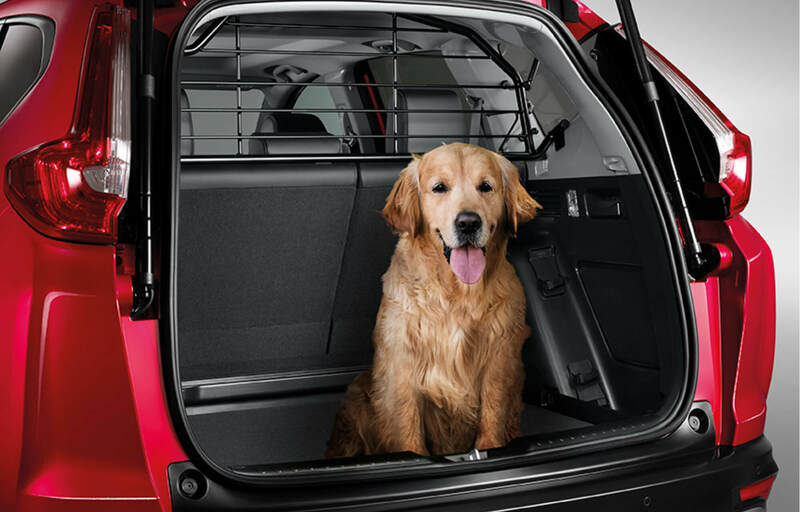 The dog guard keeps your pets safe by separating the rear passenger area from the luggage compartment. It's a must for those who have pets, and fits perfectly between rear seat back and roof interior. 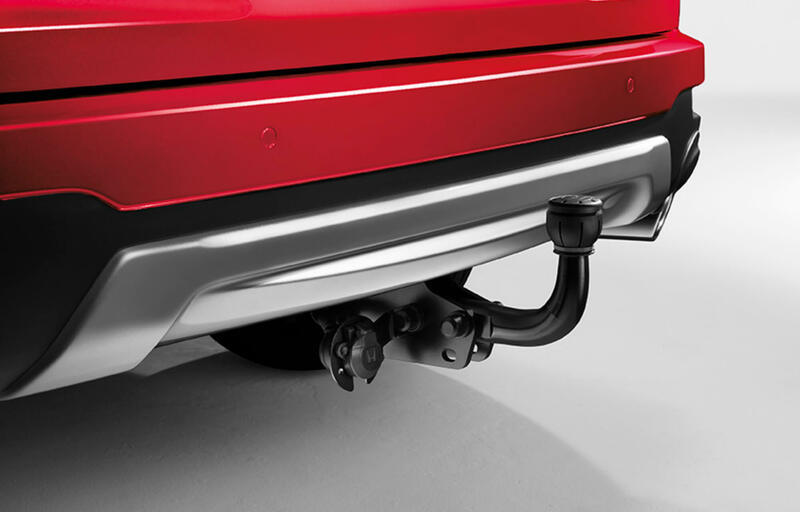 With this detachable tow bar, you can pull your trailer or carry bikes with no worries at all. 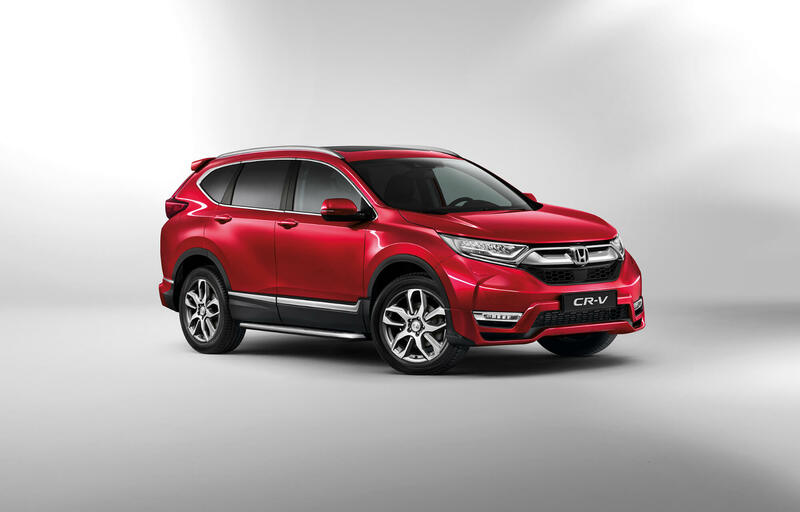 Maximum towing capacity: 750 kg to 2000 kg depending on vehicle engine and transmission type. Maximum vertical load: 100 kg. Including a 13-pin trailer harness. 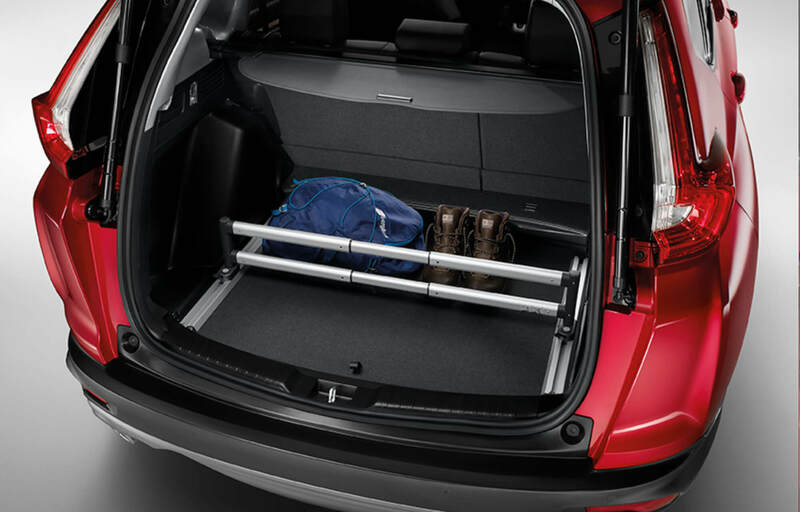 This innovative boot organiser enables you to organise your car's boot space. For Petrol cars only. With this fixed tow bar, you can pull your trailer or carry bikes with no worries at all. 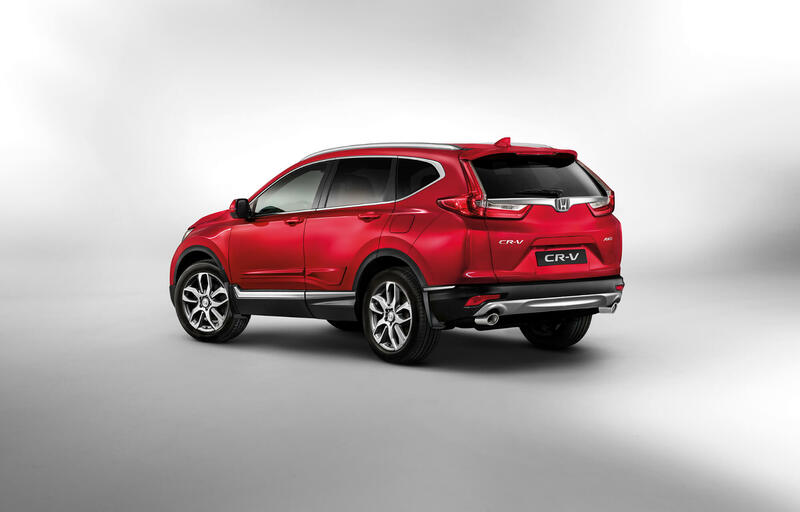 Maximum towing capacity: 750 kg to 2000 kg depending on vehicle engine and transmission type. Maximum vertical load: 100 kg. Including a 13-pin trailer harness. 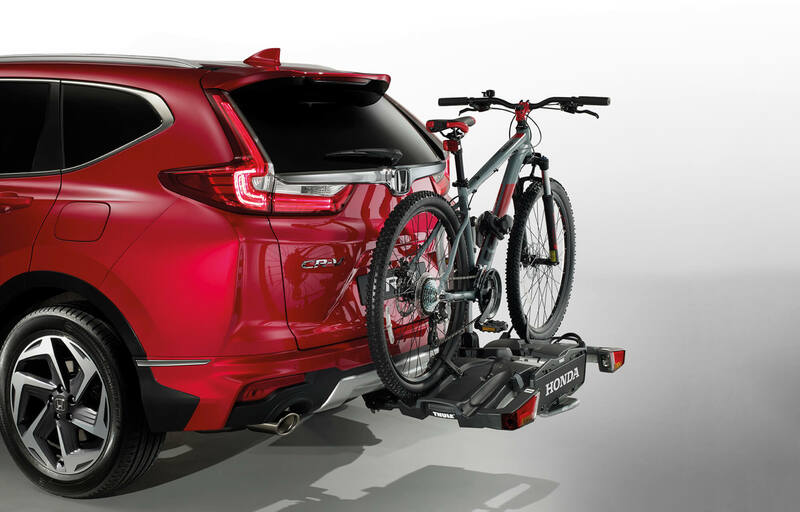 With this new retractable tow bar system, you can pull your trailer or carry bikes with no worries at all. Maximum towing capacity: 750 kg to 2000 kg depending on vehicle engine and transmission type. Maximum vertical load: 100 kg. Including a 13-pin trailer harness integrated in the tow bar and a matte black cover. Opening mechanism positioned inside the boot area to facilitate operation. 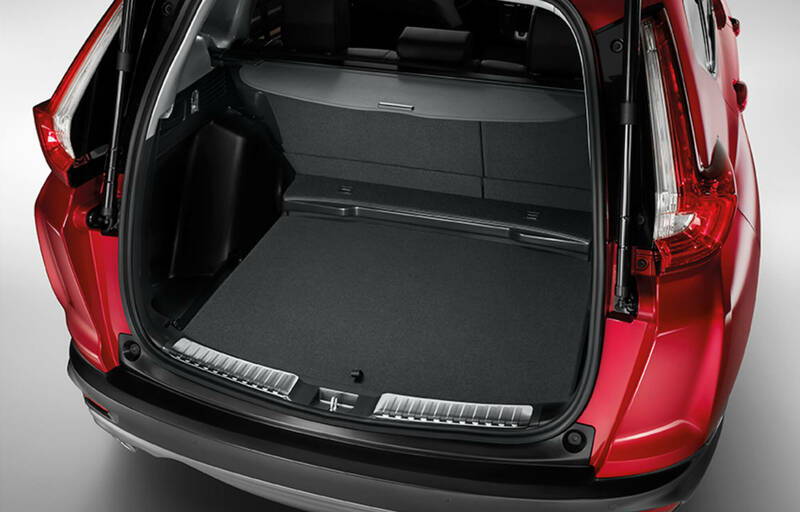 Keep the boot area clean and free from dirt and scratches. 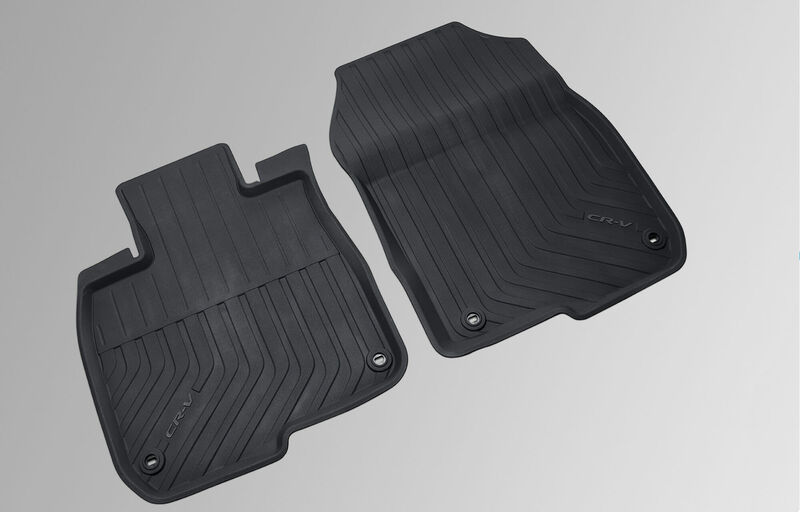 This waterproof boot mat is designed to fit perfectly in the area that needs the most protection. Features Graphite Black needle felt carpet with black woven binding. 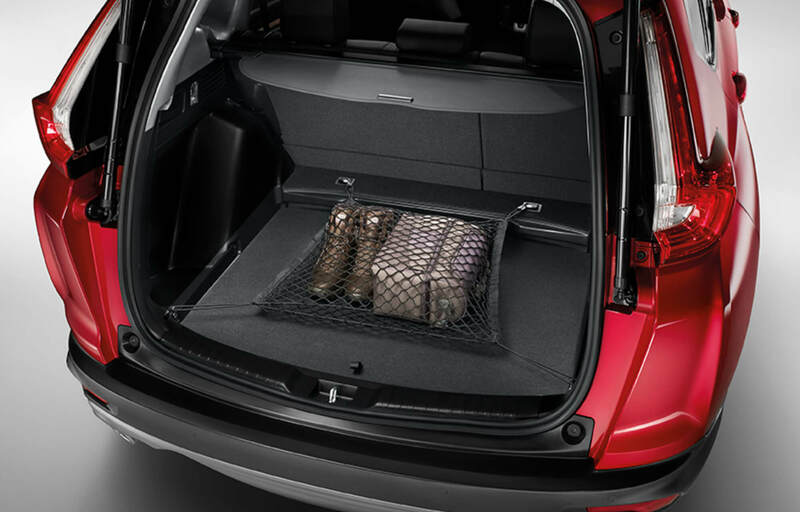 Fixed to the standard boot hooks, this specially designed horizontal boot net keeps luggage secured safely in place as you drive. 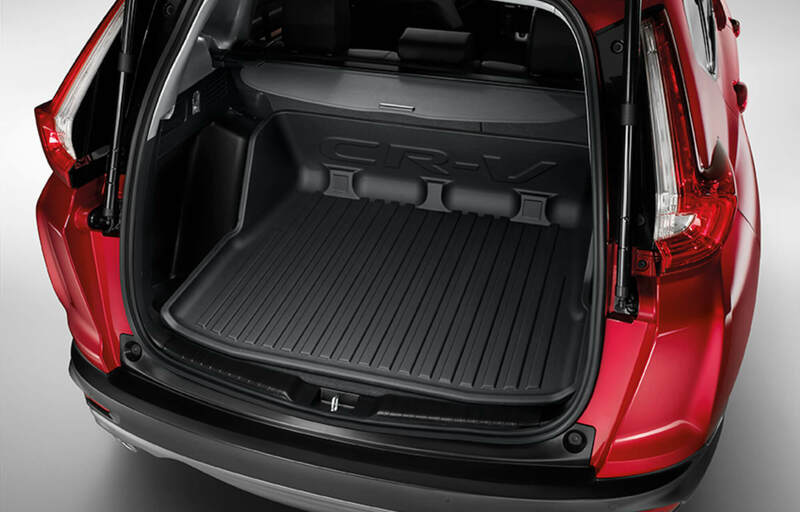 Perfectly shaped to fit your car's rear storage space, this waterproof, anti-slip boot tray, with raised edges and CR-V logo, will protect the boot from dirt and scratches. Not applicable to 7-seaters. Perfectly shaped to fit your car's rear storage space, this waterproof, heavy duty boot tray made out of tough material will protect the boot from dirt and scratches. With high walls for maximum protection. Not applicable to 7-seaters. 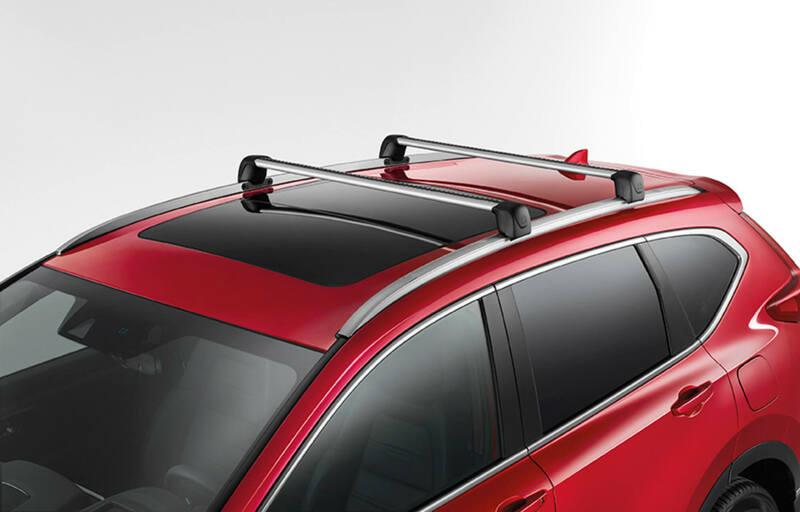 In combination with cross bars, roof rails expand your car's carrying capacity. They have a maximum roof capacity of 75 kg. 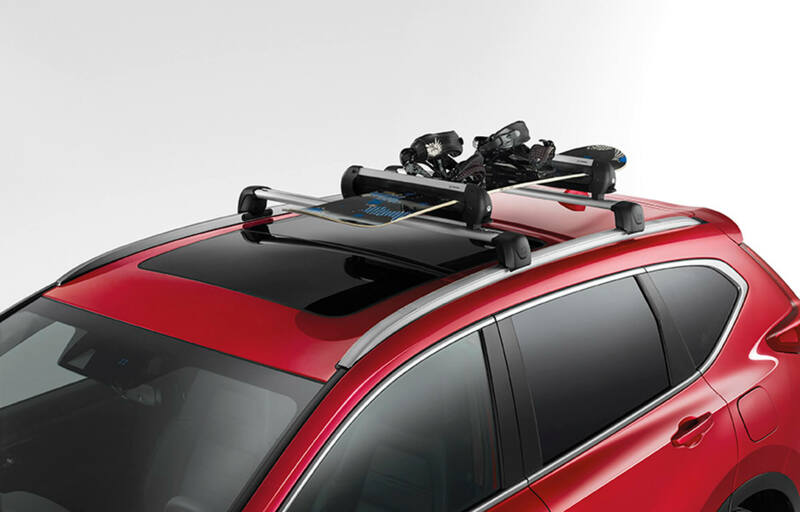 Easy-to-use ski holder for one or two pairs of skis (depending on the size of the skis) or one snowboard. Skis or snowboard are securely fastened between two rubber profiles that protect the equipment. Easily fitted without tools, it includes locks and weighs 3.6 kg. These cross bars comply with stringent safety requirements. They need to be combined with roof rails, and have a maximum carrying capacity of 75 kg – or maximum three bicycles. Includes storage bag. Universal, easy-to-install bike carrier is designed for easy loading and unloading of your bike. Lockable to prevent your bike from theft. 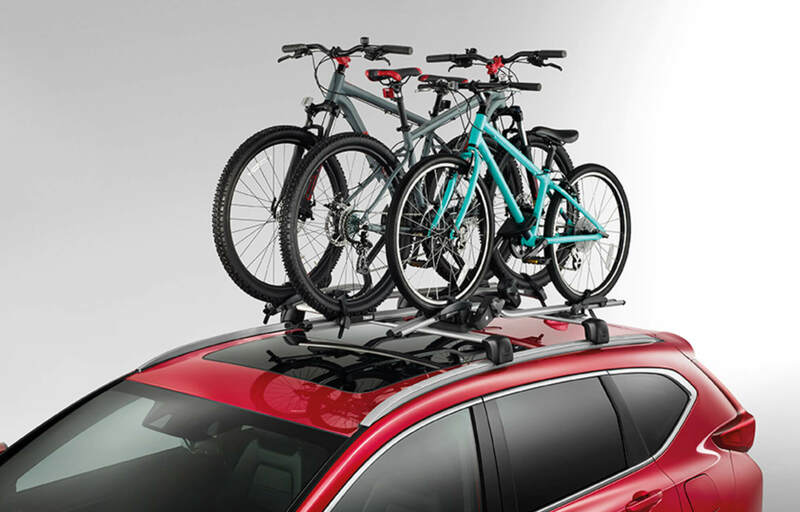 This bicycle carrier which is Thule certified by Honda carries two bicycles and is easy to install. 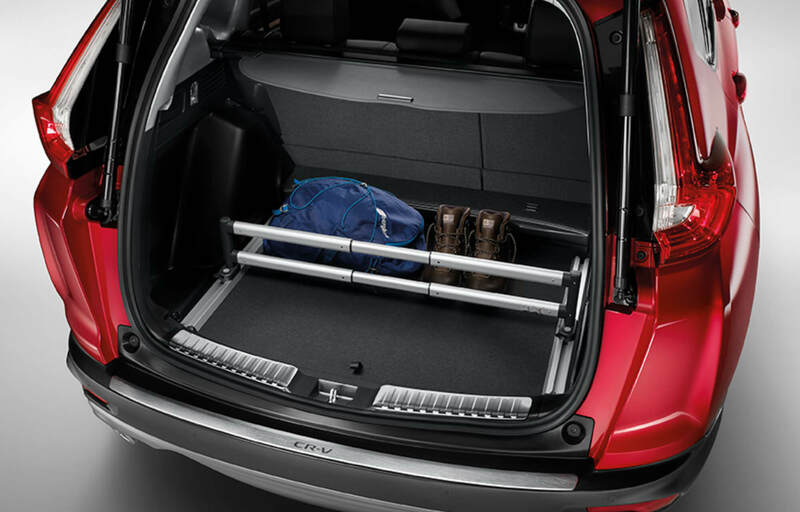 It has a tilting function for easy boot access and an anti-theft locking system. It comes with a 13-pin connector and requires a 13-pin trailer harness. 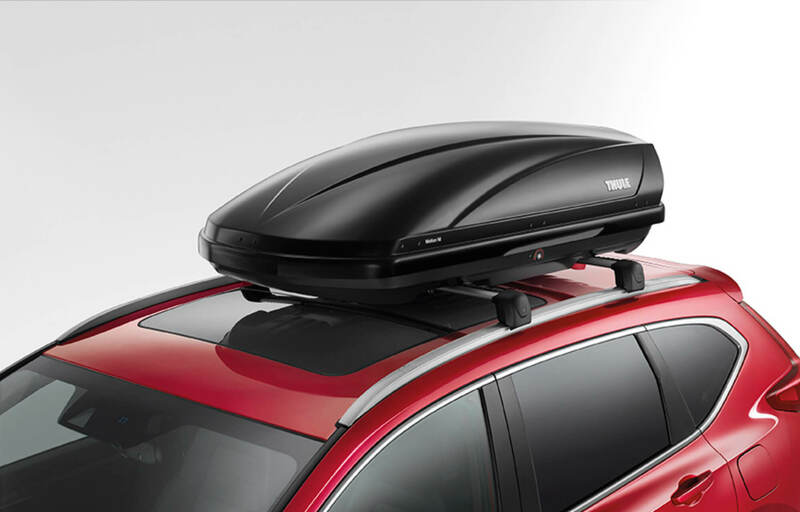 This sturdy, waterproof box, which is Thule certified by Honda, gives you an extra 410 litres of storage space. It features the Power-Click system for easy mounting, an anti-theft lock and Dual-Side opening. Its dimensions are 175 cm length, 86 cm width and 46 cm height. The Illumination Pack uses a combination of lights to give an ambient atmosphere to the inside of your car. The pack includes the blue front ambient footlights and the illuminated door sill trims. 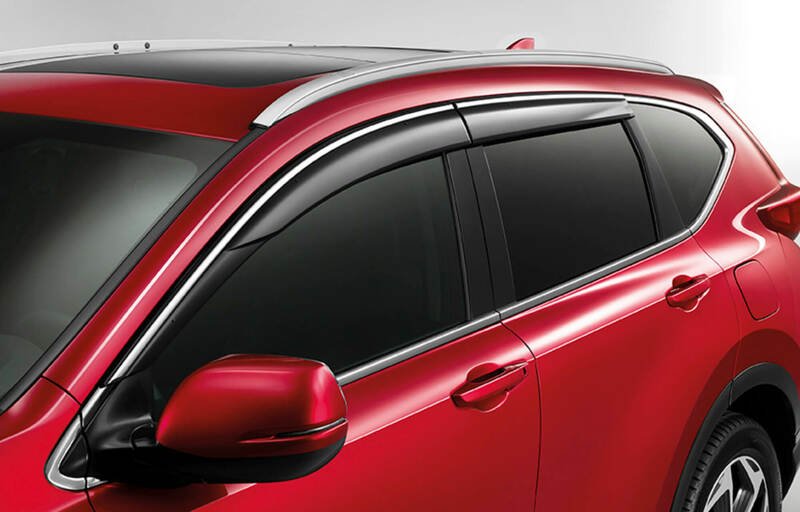 These door visors are mounted on the top of the front an rear doors and smoothly deflect the air streams. 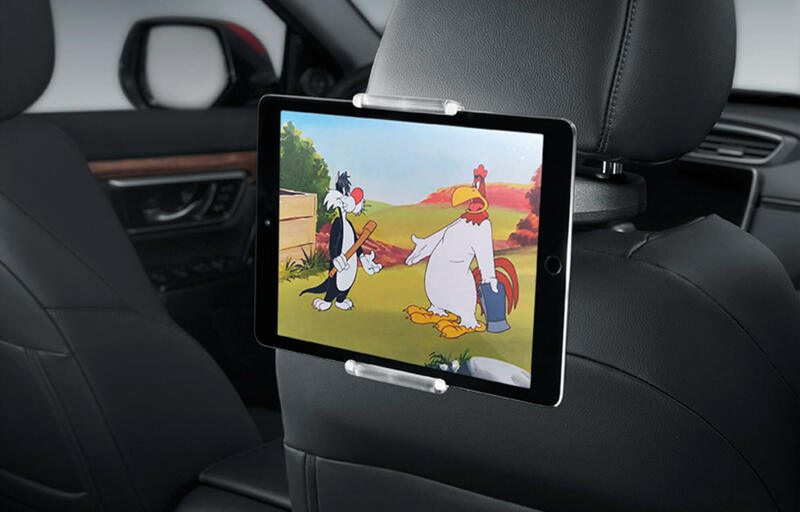 This tablet holder, with the headrest base, fits any tablet with dimensions varying from 7 to 11.6 inches. It has a neat tiltable feature so it can be adjusted to the best viewing position too. 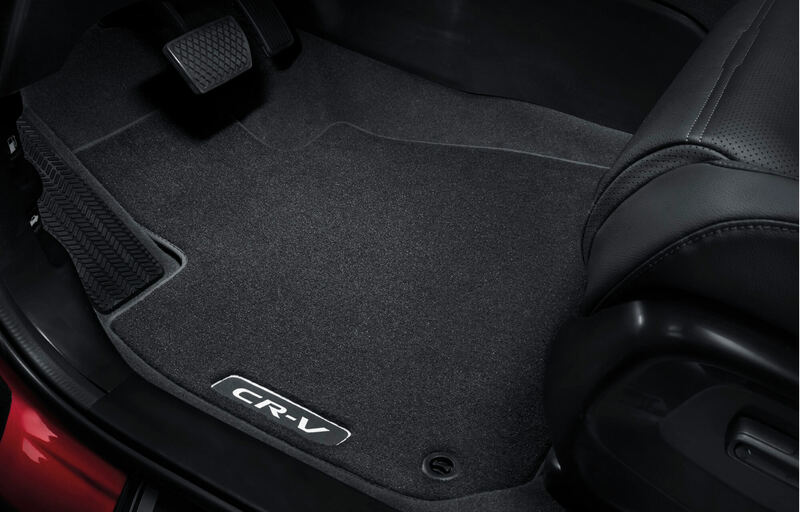 These elegant and comfortable fitted tufted carpets, with black woven binding, have an embroidered CR-V emblem. 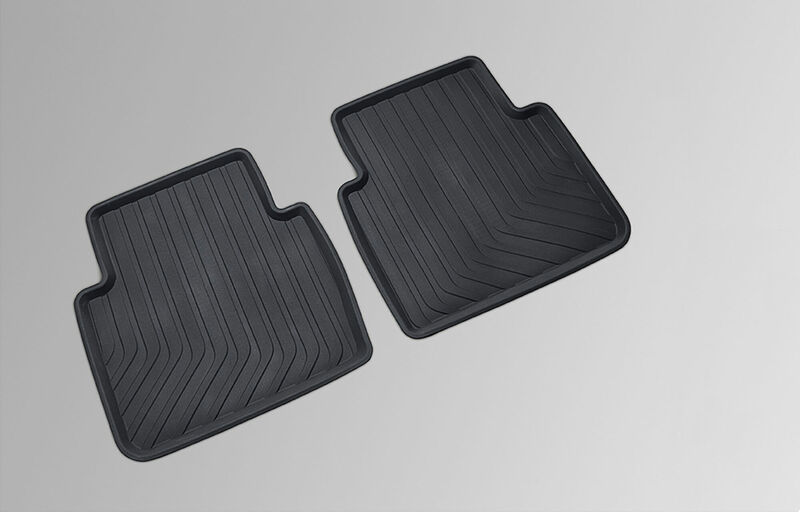 Includes: front and rear mats. 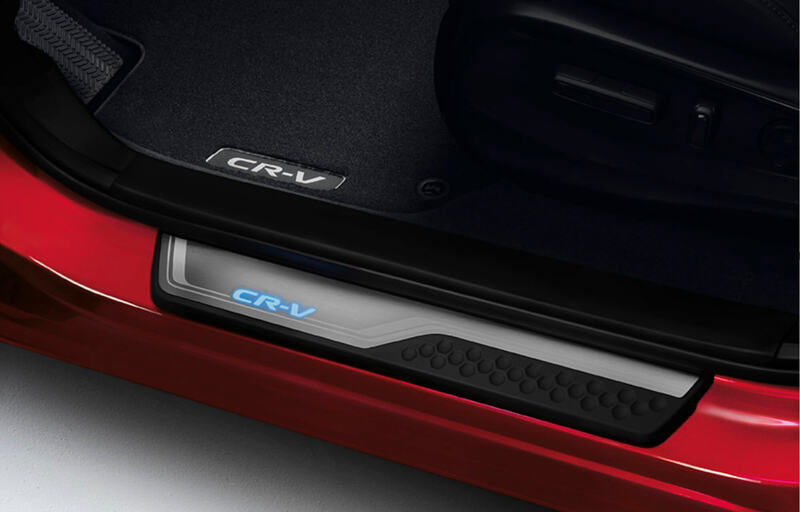 Tough yet easy to clean, these rubber mats are made to protect the front foot-well, and feature the CR-V logo. Tough yet easy to clean, these rubber mats – with raised edges – are made to protect the rear foot-well, and feature CR-V logo. Keep your clothes smart and crease-free with the the coat hanger. It easily fits to the headrest base (included) so you can hang your coat, jacket or suit. 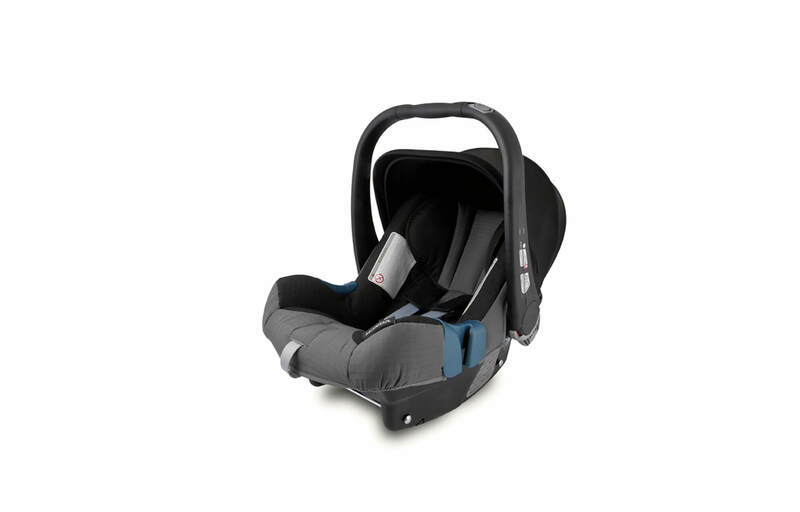 Honda genuine child seats offer superior protection for your child from birth to 12 years. 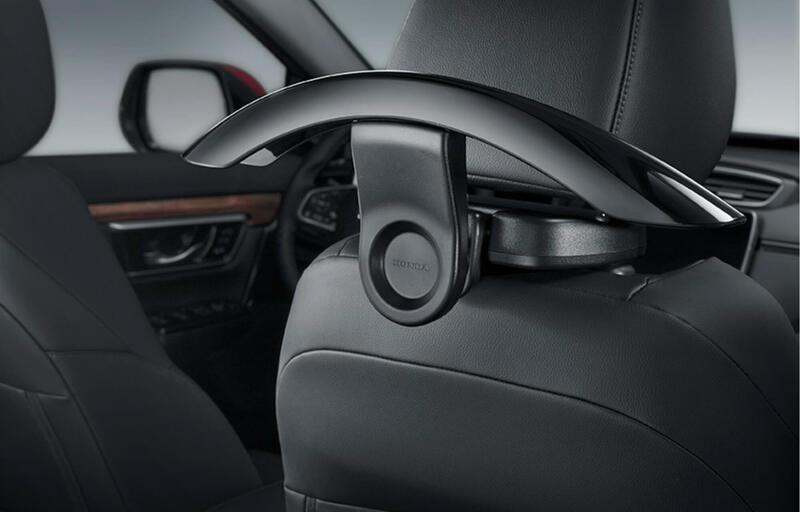 There are two installation options: ISOFix or 3-point seat belt fixation.